Magic Mike The Musical Event homeBuy ticketsCustomer reviews HamiltonThe PromNetworkTo Kill a MockingbirdKiss Me KateHadestownOklahoma! Bachelorette parties of the world rejoice! Channing Tatum's steamy Magic Mike is heading to the Broadway stage! With Pulitzer Prize-winning team, Tom Kitt and Brian Yorkey (Next To Normal, If/Then), providing the score and Roberto Aguirre-Sacasa (Riverdale) providing the book, the story of Mike Lane and his subsequent rise to be 'Magic' is in safe hands. Grab your squad and buckle in for this sure-fire hit! Hitting movie theaters in 2012 Magic Mike was sent into the stratosphere upon release, with Hollywood heartthrob Channing Tatum playing the titular character, Magic Mike became one of the biggest movies of the decade. Now with a sequel and a hugely successful live show in tow, it seems like the story of Magic Mike is far from over. Don't miss your chance to see the tantalising musical, live on stage! Sound good to you? Share this page on social media and let your friends know about Magic Mike The Musical at Venue To Be Announced. 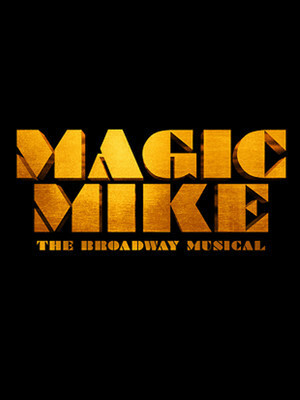 Please note: The term Venue To Be Announced and/or Magic Mike The Musical as well as all associated graphics, logos, and/or other trademarks, tradenames or copyrights are the property of the Venue To Be Announced and/or Magic Mike The Musical and are used herein for factual descriptive purposes only. We are in no way associated with or authorized by the Venue To Be Announced and/or Magic Mike The Musical and neither that entity nor any of its affiliates have licensed or endorsed us to sell tickets, goods and or services in conjunction with their events.